Since the original BRIC reports came out in the early 2000s, global economists, banks and governments have watched the BRIC economies with interest. The years that followed have been a mixed bag for all of them, but in 2018 it is safe to say that India and China continue to show strong growth compared to the rest of the world. Many global companies are thinking of setting up an India office and see this as the right time to step into one of the most attractive economies at present. AMA has worked for over 30 years with many global companies setting up a presence in India. In the early 2000s, most companies thought of an India office as a “good to have”. Over the years an India branch office has become a “must have” – a necessity without which a global business may not be able to maintain its size, momentum and innovation. At the same time, global businesses are wary of the Indian legal and tax systems, bureaucracy and “chaos”. The reality of the investment opportunity in India lies somewhere between the two narratives. In our experience dealing with businesses, we see that the key to a successful India office lies in adapting to the local market, being prepared for its unique challenges and risk-proofing your venture. 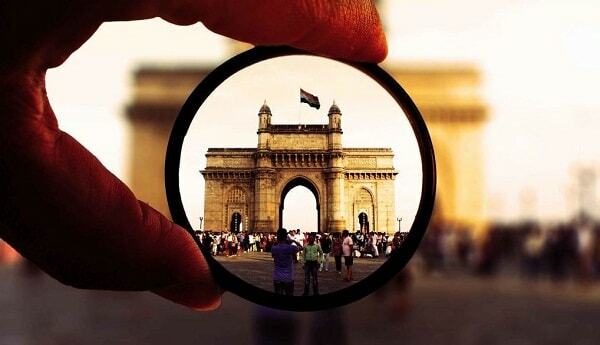 In Part 1 of our post, we discuss the facets of the India opportunity. The Indian economy has grown at respectable rates over the last 15 years. It now stands poised for rapid but more stable growth. The expected GDP growth rate over the next 5 years is estimated to be between 7% and 10%. India is expected to be a $25 trillion dollar economy by 2025. There has been strong improvement in global trade and there are more and more entrepreneurship stories. India was, for a long time, the manufacturing hub and the call centre hub for global businesses. It is now also a research centre, a profit centre and much more in its own right. With a growing skilled workforce, the potential for growth in technology, software, services and even industrial sectors is immense. By 2020 India will have the largest young population in the world and even currently has the third largest group of scientists and technicians in the world. There is a rising middle class with increasing disposable incomes and changing spending patterns. Consumerism comes to India much after the West but is on track to catching up, with 129 million urban mass consumers. Infrastructure is possibly the area that requires the most work in a country of this size and scope. Modernisation is the need of the hour, and as the economy has moved from an agrarian one to an industrial one, infrastructure is front and centre of the agenda for central and state governments. The Government recently announced that it had electrified the last non-powered village in the country. Current estimates peg the planned investment for the next 20 years to be c.$1.5 trillion, covering highways, railways, ports, industrial corridors, housing, etc. The economy was opened up to overseas investments in the early 1990s but the effects have been most prominent after the early 2000s. The current Government (elected in 2014) is seen as strongly pro-business and with its strong majority, also does not suffer from the problems of coalitions (which stalled many a reform with preceding governments). Several reforms are being rolled out simultaneously, including the largest tax reform in the history of India – replacing all indirect taxes with a single goods and services tax (GST). There is also a strong push for the economy to move from a cash-based one to formal banking systems. India’s rank on the world’s Ease of Doing Business Index rose from 142 to 100 last year. Admittedly this shows that there is much work to be done, however there is also a commitment from Government agencies to effect improvements rapidly. Compared to many emerging economies, India continues to have a greater political stability and stronger economic laws and decision-making, all of which are favourable to businesses. In Part 2 of this post next week, we will discuss the challenges of the India story – what are they, how they may affect your India expansion and how to mitigate them to ensure the best outcome for your India story.